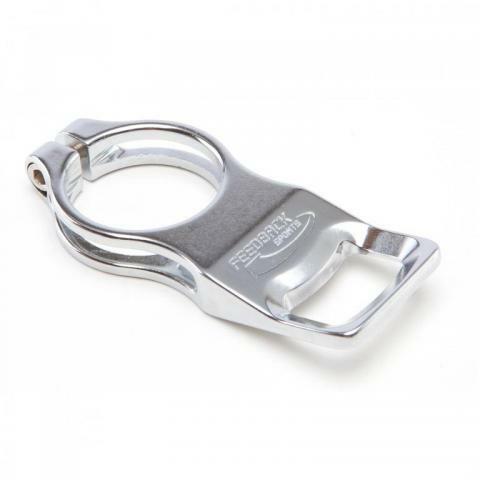 Rather than having to go inside to find a bottle opener every time you get thirsty, you can mount this Bottle Opener directly to any Feedback Sports clamp-style work stand. With a sleek nickel finish, it bolts on quickly and easily, and provides plenty of leverage. It might just be the most dependable tool in your workshop.